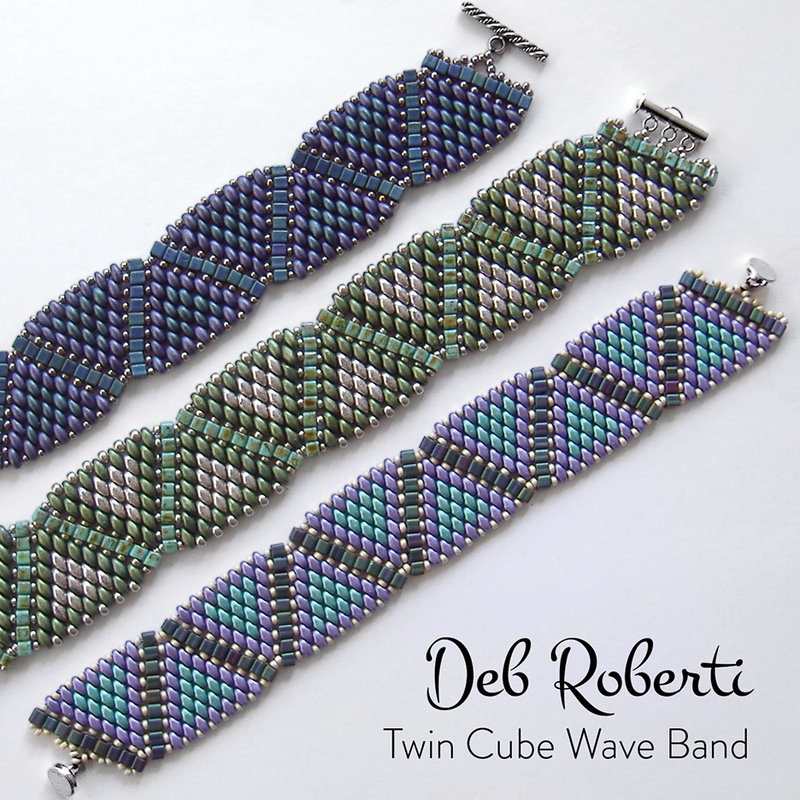 This is a fatter version of my Tila Twin Wiggle Bracelet, using two colors of Preciosa Twin beads and 3mm cube beads instead of Tila beads. The pattern is fully illustrated with detailed step-by-step instructions. 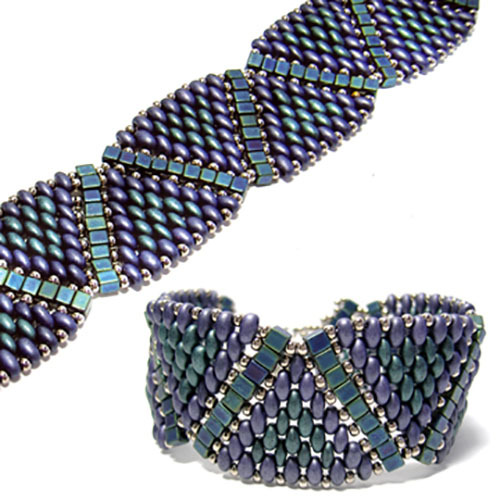 Update: Since I created this design in 2012, a number of new two-hole beads have appeared on the bead scene. SuperDuo and MiniDuo beads work especially well as a substitute for Twin beads in this design so I have added photos, substitution instructions and materials needed at the end of the step instructions.